The “rational numbers” are the fractions; we discuss their basic properties in this chapter. We show that there are “irrational numbers,” including the square root of two. The collection of all rational and all irrational numbers is called the set of real numbers. 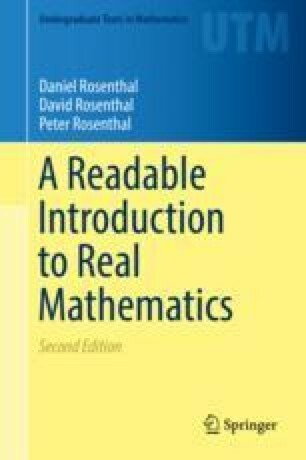 We develop techniques for determining whether or not given real numbers are rational. We prove, for example, that if the square root of a natural number is rational, then the square root must be an integer. The “Rational Roots Theorem” is also proven.